This versatile chilli sauce recipe gets its flavour from fermented garlic and chillies, which add a funky tang to proceedings. It can then either be blended into a rough paste or completely blitzed into a smooth sauce – whichever you prefer. 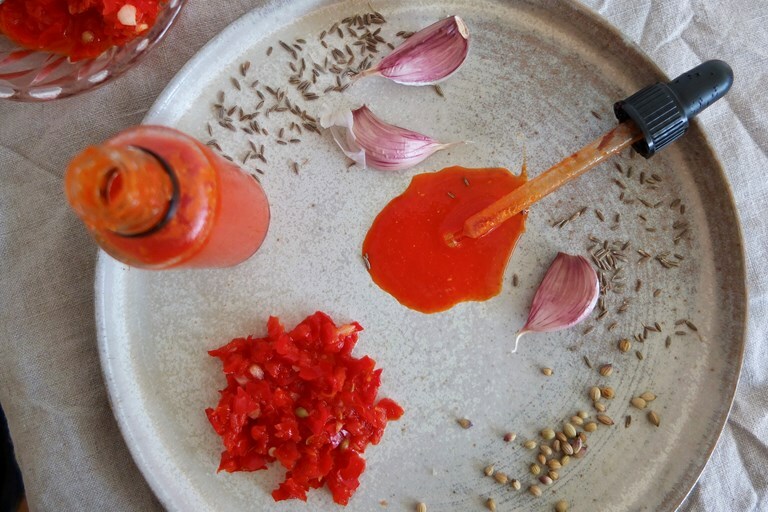 Take a look at all of Helen's hot sauce recipes here. An everyday hot sauce should have just the right balance of heat; an enjoyable prickle but not so much it needs rationing on the plate. Flavour is also important – it should be clean and fresh but with enough going on in the background to hook you in and firmly secure its place as a staple condiment. An essential friend you can add to anything to improve it by at least eighty percent. This recipe makes enough for two 500ml bottles or jars.